TAG – Bringing well-designed, stylish, and affordable products into the home of every consumer. For over 35 years, Tag has distributed thousands of home decor, kitchen, tabletop, gift, garden and furniture products through retailers across the country. You have seen their products in department stores, home stores, and the “mom-and-pop” gift shop on Main Street. 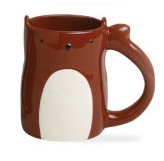 Their web site, http://www.tag2u.com is full of thousands of items to fill your home with. I recommend taking some time to sit back, relax and browse their extensive collection. 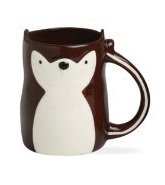 Today I am spotlighting their “FALL CRITTERS” collection! 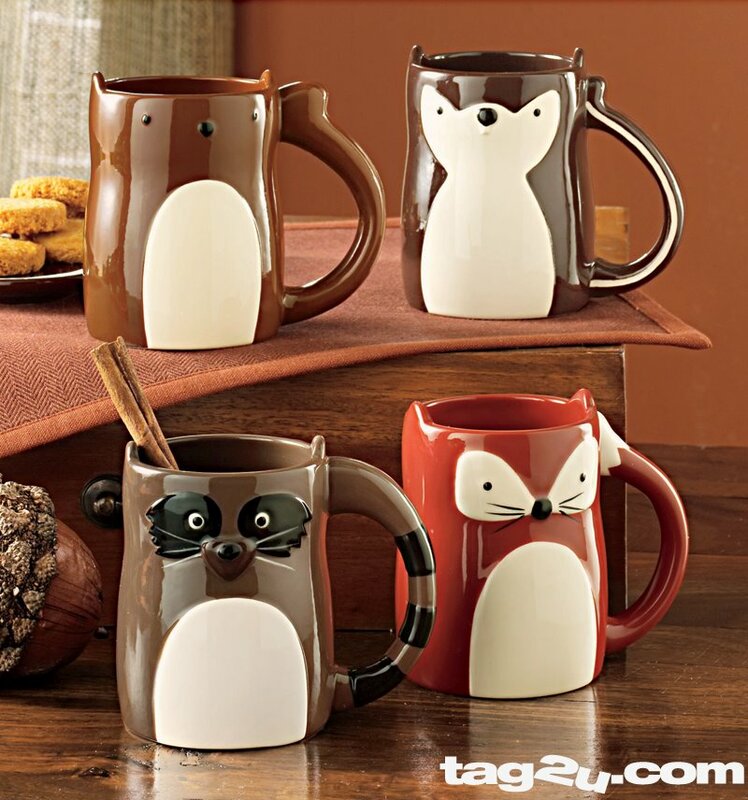 Tag’s Fall Critter collection consists of everything from mugs, plates, dish towels, tealight holders, wine bag, salt & pepper shaker, napkin & luncheon plates and more. I love the fall and I love critters (especially squirrels), so it was a no brainer for me that I would decorate my kitchen with this collection this year and I absolutely love it! 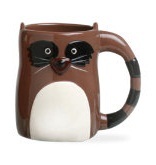 The set of 4 mugs which include a squirrel, chipmunk, raccoon and fox ($12.95 each). 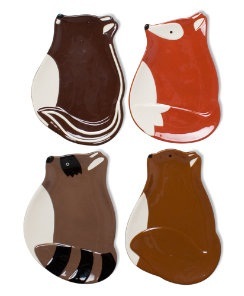 Second I ordered the Fall Critters appetizer plates (set of 4 – $29.95). 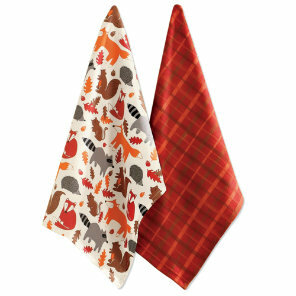 Third I ordered the Fall Critters dishtowel set of 2 ($12.95). 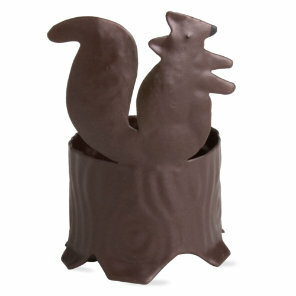 Fourth I ordered the Fall Critters squirrel metal tealight holder because I simply couldn’t resist ($6.95). 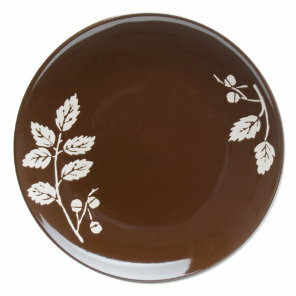 And last, but not least, I ordered the beautiful Autumn harvest leaf platter ($24.95). I am looking forward to serving my family on this beauty come Thanksgiving! Each item works perfectly with each other and really adds that “fall” flavor to my kitchen’s decor. The items arrived securely wrapped in bubble wrap in less than a week (standard shipping). 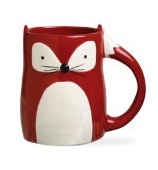 What I love about www.tag2u.com is the pure convenience of finding so many items on their web sites. No matter what holiday or celebration is coming up, or to simply freshen up a room, Tag has something for you. Be sure to visit www.tag2u.com for more information.